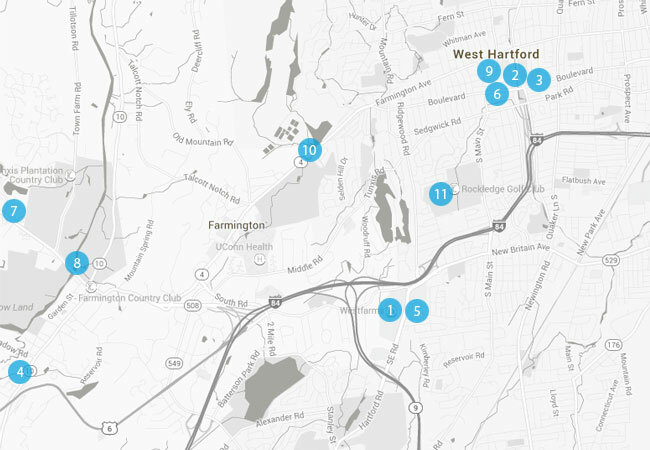 Farmington CT is a residential suburb of the Hartford Metropolitan area that retains a welcoming historic town feel. From the Farmington Valley Greenway where you can walk or bike the scenic trails, to first class art exhibits at the Hill-Stead Museum, you are sure to find the perfect work/life balance. Nearly everything you can imagine is within a short drive of Centennial Apartments. Whether its shopping at the upscale Westfarms Mall, dinner in the West Hartford Restaurant District, catching a movie at Bow Tie Cinemas, or the many outdoor activities including rafting on the Farmington River. Centrally located in the most affluent neighborhood of West Hartford is Blue Back Square which provides a unique shopping, dining, and entertainment destination. 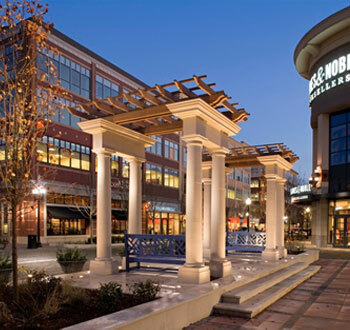 Anchored by Crate & Barrel, Barnes & Noble, Criterion Cinemas, and REI Blue Back also has numerous upscale restaurants such as The Cheesecake Factory, Fleming’s Prime Steakhouse and Wine Bar, World of Beer, White House/Black Market, and Charming Charlie.